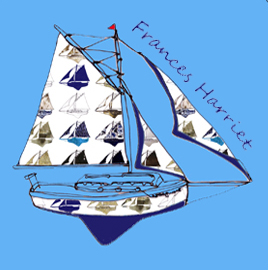 Hello, my name is Frances welcome to my site! Every design you'll find on here is illustrated by myself. I take inspiration from up and down the coast of our beautiful British Isles. Once home I get to work jazzing up my line drawings by injecting them with bold patterns and vibrant colours. I'm proud to say that everything I produce is designed in Cornwall and made in the UK.